The amazing folks at Play Studios, who run MyVegas, are busy every day, dreaming up new promotions and games for the MyVegas family of Games. 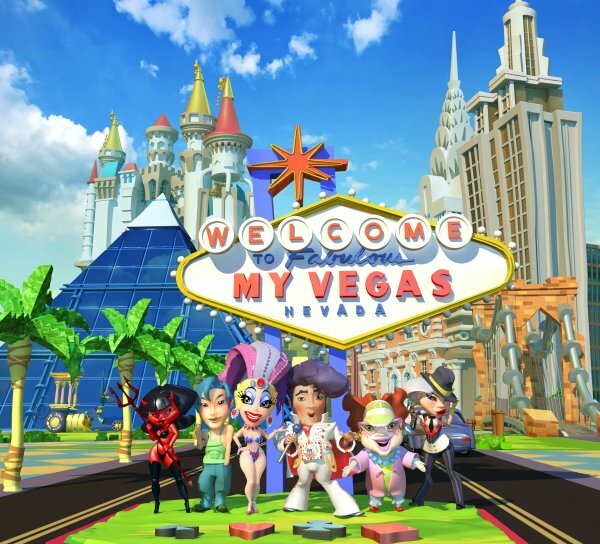 For the original MyVegas Game on Facebook, as well as MyVegas Mobile, MyVegas BlackJack, My Konami and Pop! 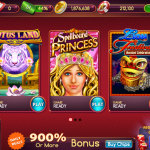 Slots, it is fun and easy to collect the chip rewards every few hours, play the free games, and earn the Loyalty Points that you can exchange for free rewards. 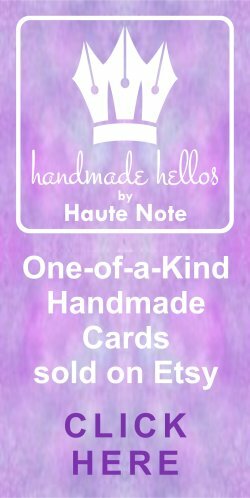 There is something new every day. 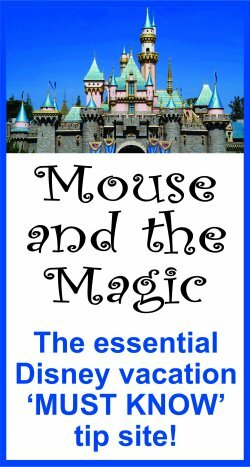 There are always new and different rewards being introduced, sometimes in locations far-flung from Las Vegas… in London England, the Caribbean, or Vancouver, Canada. 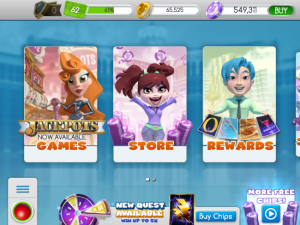 We, here at Let The Chips Fall, will, like you, continue to play all the games, in order to collect Loyalty Points, in order to enjoy the free rewards! 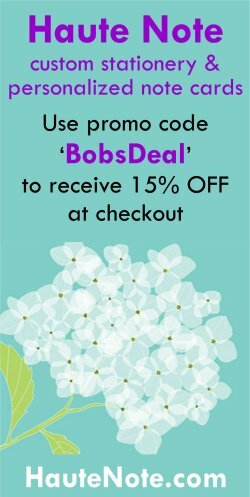 For those of you who are regular visitors to this site, you know that I am ALL ABOUT the Loyalty Points. 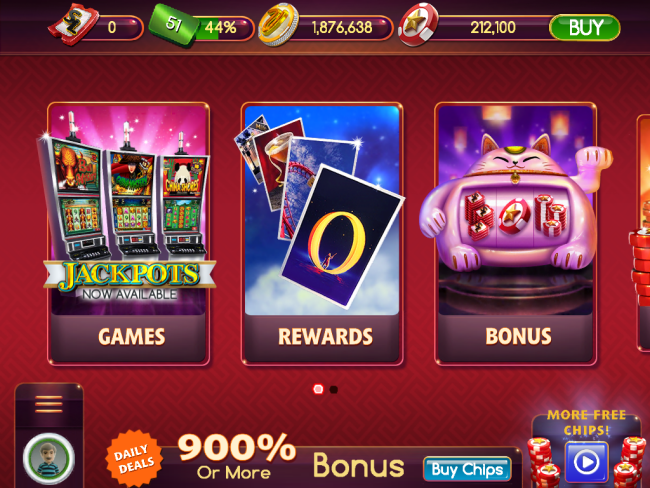 Collecting Loyalty Points is why I play MyVegas. 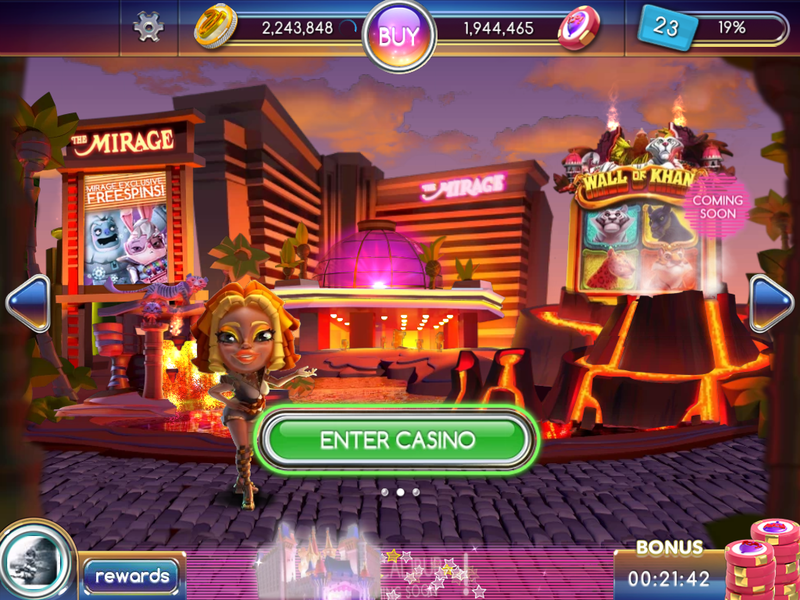 As much fun as playing is… my purpose for playing is driven by getting real-life Las Vegas rewards. 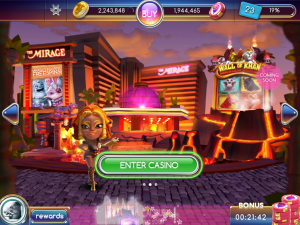 Today, I was away from home, and had to wait somewhere, and thought I would play MyVegas on my phone. 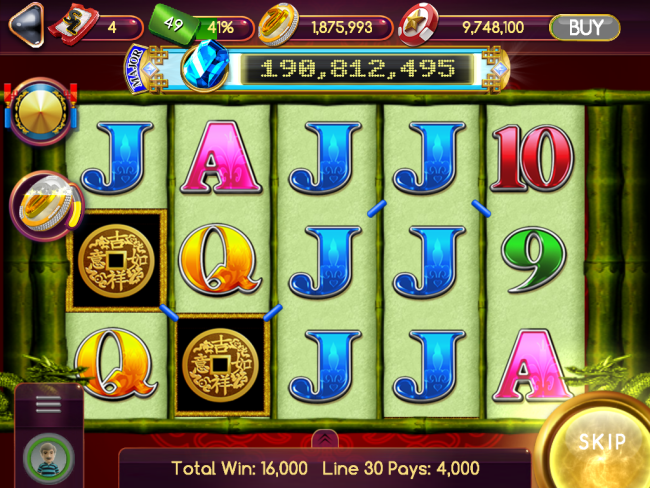 Normally, I collect chips on my phone, but only play on my iPad. 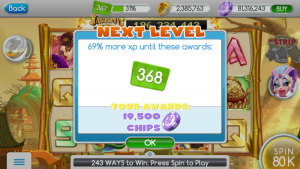 And, when I leveled up, I received the regular Playing Chip bonus… but NO LOYALTY POINTS?!? 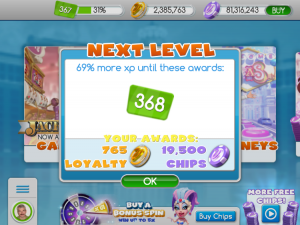 And so, I checked, and sure enough… players who play on Android devices get ZILCH for Loyalty Points, when they Level Up. Screen shots are below, of the Android and iPad. 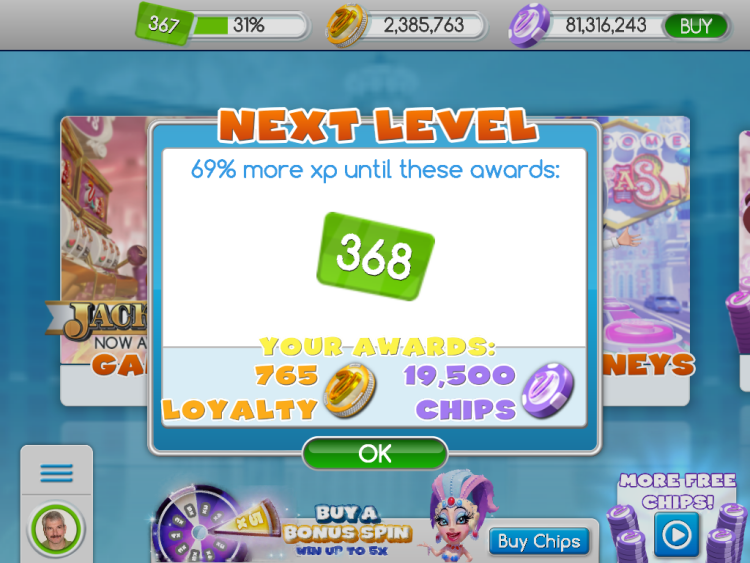 If you haven’t caught my drift… by playing on my Android, when I leveled up, I missed out on getting 765 Loyalty Points. I just want to make sure that anyone else… everyone else… out there, who reads this, is aware. So… All things being equal… if you have a choice, and have the option of collecting Loyalty Points on an Android Versus Apple Mobile Device… I would suggest EVERYONE use the Apple devices, as you will get MORE LOYALTY POINTS. 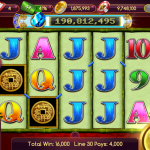 Play Studios have, once more, expanded the MyVegas family of apps and games, and added POP Slots, a new mobile game. 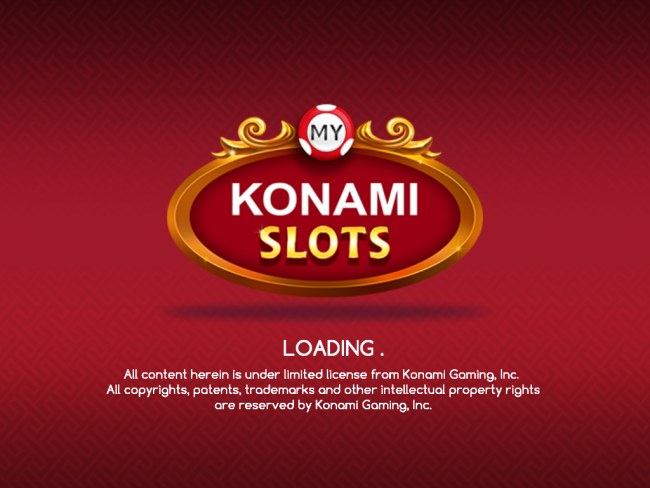 As with their last offering – Konami, they seem to be inching away from the MyVegas Loyalty Points. 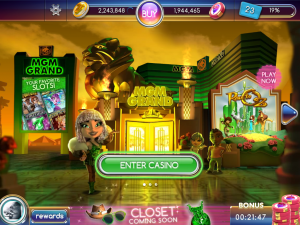 In this game, they offer you the sense of walking around the Las Vegas MGM Resort Casinos… choosing which game you would like to play, and at what machine. They have even made virtual versions of the casino carpet and decor. 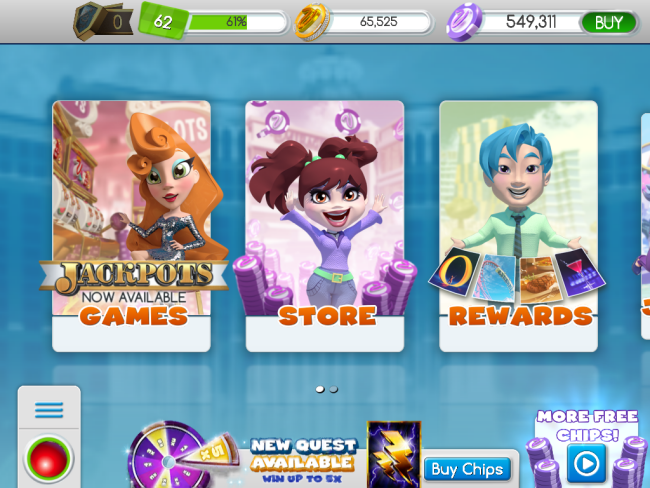 As always, you can buy Chips, but they are given free every two hours, in increasing amounts as you progress through the levels… and every 24 hours, you also get a Daily Bonus of Chips. 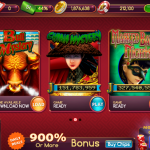 The games in the casino are similar to the slot games in other MyVegas offerings. For the MGM Grand Casino, the available games are: MGM Grand Mega Star, Frontier Fortune, Emerald 7’s, Around The World In 80 Plays and Race To Oz. In the Mirage Casino, the available games are: Mirage, Welcome To Fabulous Betrock, Forbidden 7’s, Jack And The Beanstalk, with Wall Of Khan coming soon. The ‘feel’ of this game is quite similar to walking around a casino… sitting down… interacting a bit with players around you (through an ’emoji’ interface). 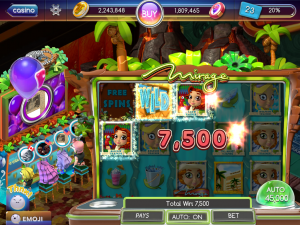 For me, the critical difference was that playing doesn’t necessarily gain you MyVegas Loyalty Points. When you choose a game to play, you are given a bank of 8 machines that will be partially filled with other players. They indicate to you the available machines, and the “hottest” machine. 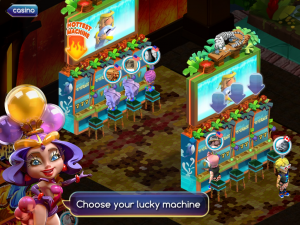 Once you choose a machine, there is a kind of split screen… where you can see the slot machine you are playing, as well as an overview of the bank of four machines you are sitting at, and the players immediately around you. 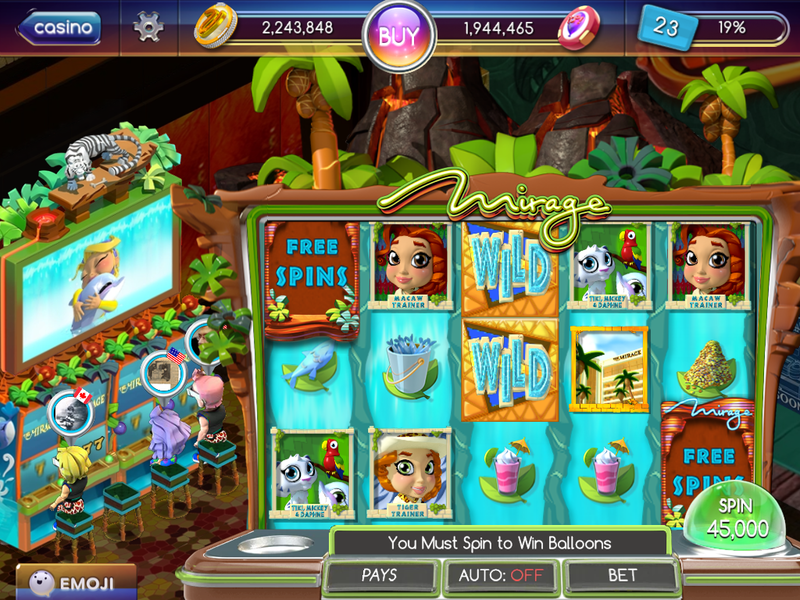 There is also an Auto button, that will allow you to spin, and bet and never have to look at the game. 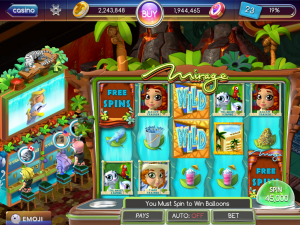 The only way to get MyVegas Loyalty Points (Gold Coins) is to pay attention, because at random intervals, you and the players around you will inflate a purple BONUS “POP” balloon, (see image below) which rises from the bank of machines you are “sitting at”… and if you don’t touch the screen to “pop” the balloon… it just drifts away. 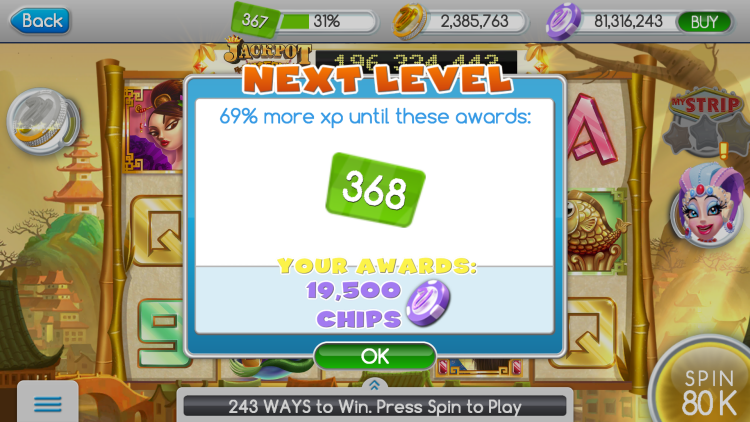 Sometimes the Bonus will be XP Points, sometimes Chips, and sometimes Loyalty Points. These POP Bonus balloons seem to be the ONLY way that this game adds to your Loyalty Point total. 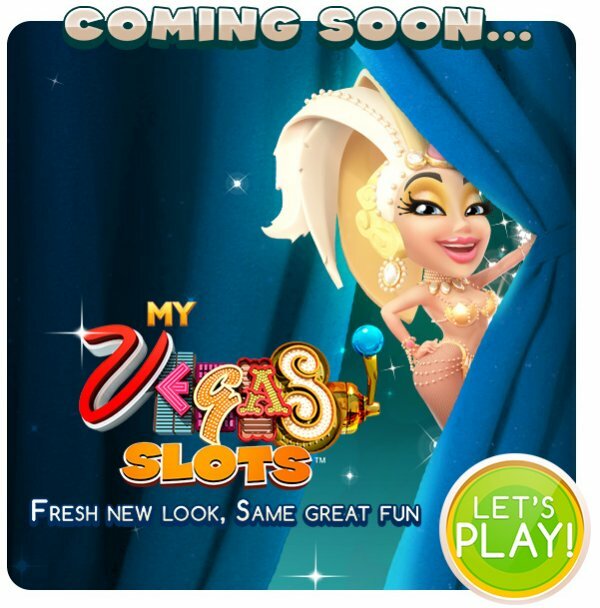 There was a PlayStudios questionnaire a few months back, and one of the questions was “Would you play MyVegas, even if there was no loyalty incentive program.” From the increasingly incrementally smaller awards of Loyalty Points, and the fact that you can play this latest game, and (if you aren’t paying attention) not collect ANY Loyalty Points… I’m guessing enough people said “yes”. 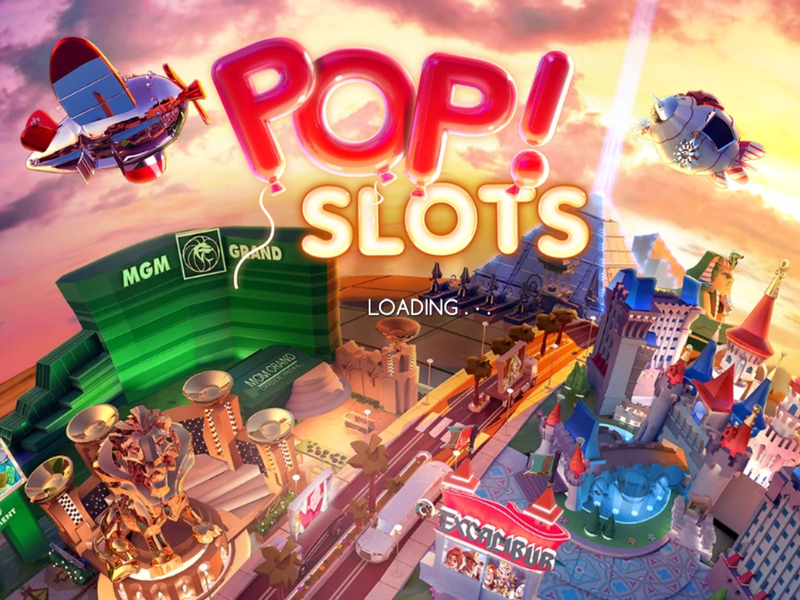 The OTHER feature of POP Slots, and one that seems to be evolving, is interacting with, and getting benefits from, those players at the machines “around you”. You are able to “greet”, “congratulate” and “thank” the players sitting in your bank of machines, when they arrive, when they do well, and when they hit a shared bonus… by tapping on the emojis that appear at the bottom left of the screen. The POP Slots game is fun, as it has a completely different feel… and more of a “Casino” atmosphere… (as much as you can in the virtual world). As long as you are aware of how the game works, it is a fun time! If you are ONLY playing for Loyalty Points, and don’t have time to pay attention to the games… this one might not be for you. 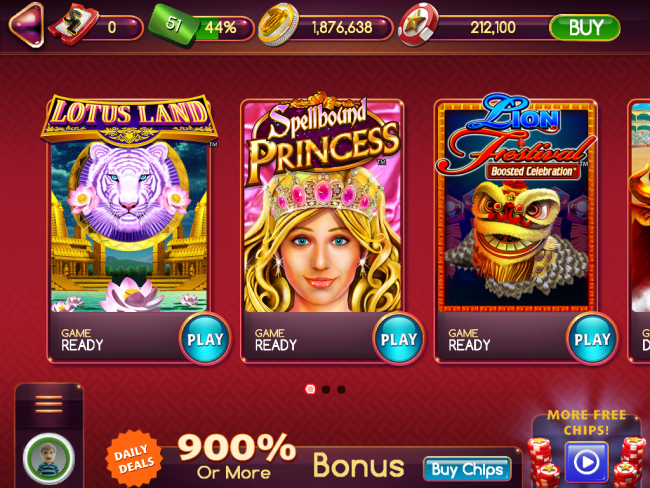 NB: As always, I make no claim to owning the rights to any of these images… they are screen-caps of my game play, and I use them simply to promote the MyVegas (in this case, Konami) brand. And I run this Blog with their inferred approval. 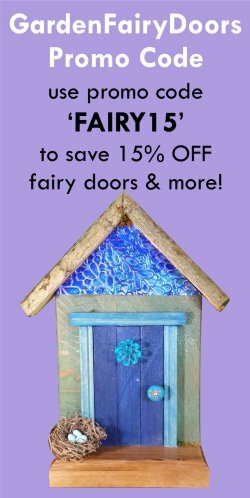 (Inasmuch as they haven’t said not to.) 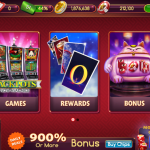 And, it should be said, (other than the benefits available to ALL MyVegas players), I receive no special deals, offers or bonuses from the folks at MyVegas, Konami or PlayStudios. 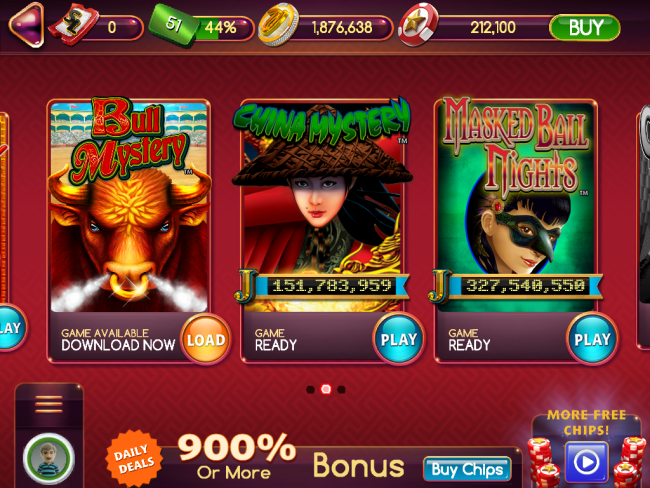 The folks at Play Studios have, again, expanded the MyVegas family of apps and games. 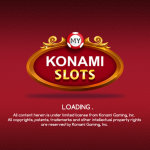 In addition to the Facebook Version of MyVegas, the online MyVegas app, and the MyVegas BlackJack app… there is now also the Konami Slots App. As you advance through the Levels, and at 4 hour intervals, you are awarded “SL Tickets“, which you can redeem in the SL Bonus Game. 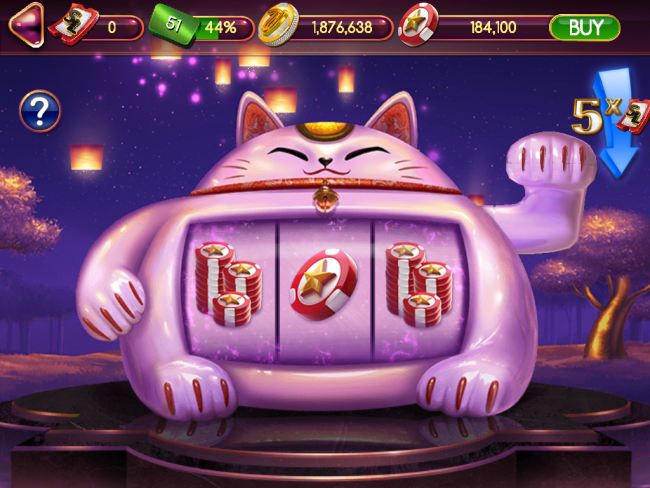 (Basically a big pink Cat slot machine.) 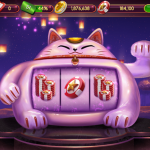 It takes 5 tickets per spin… and the prizes can be rewarded in the form of further SL tickets, XP Points to advance through the Levels faster, Red Playing Chips… or as it happens, sometimes you get nothing!